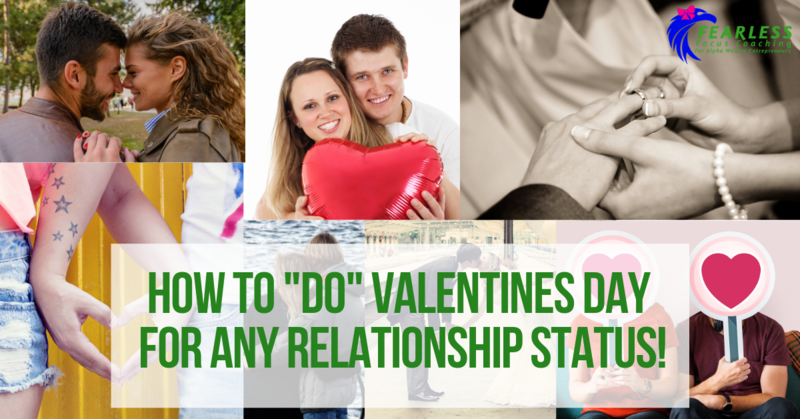 How to “Do” Valentines Day for ANY Relationship Status! Valentine’s Day actually is a tricky holiday. So I’m going to help you with a little cheat sheet of how to do Valentine’s Day regardless of what’s going on in your love life right now. 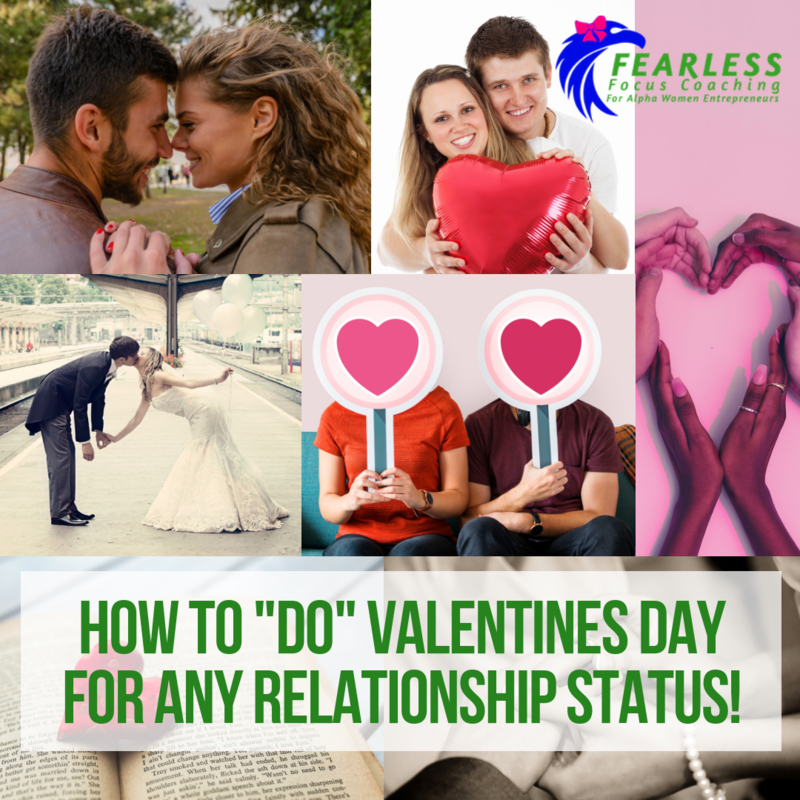 We first start with WHO we focus on for Valentine’s Day. There are three options. You, Him or Both of You. Catch up last month’s coaching on Empathy: WHAT Empathy is, WHY You Want It (deep, bonded love) and 7 Foolproof Steps to Doing itfor Others, and the Key to GETTING More Support. You can focus on yourself, on yourself AND your mate or on your mate. Who you focus on depends on where you are in your relationship. 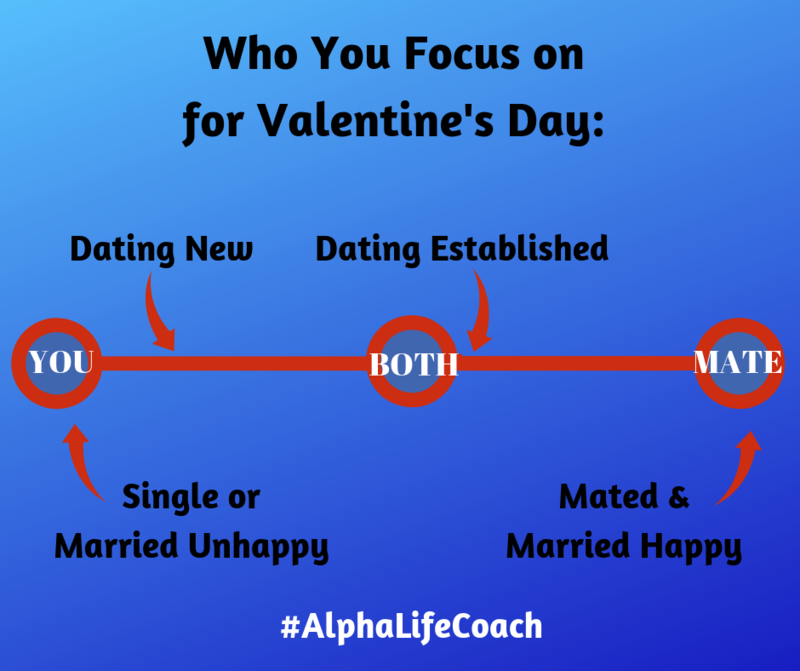 If you’re single or married and unhappy, your focus is going to be on your self. 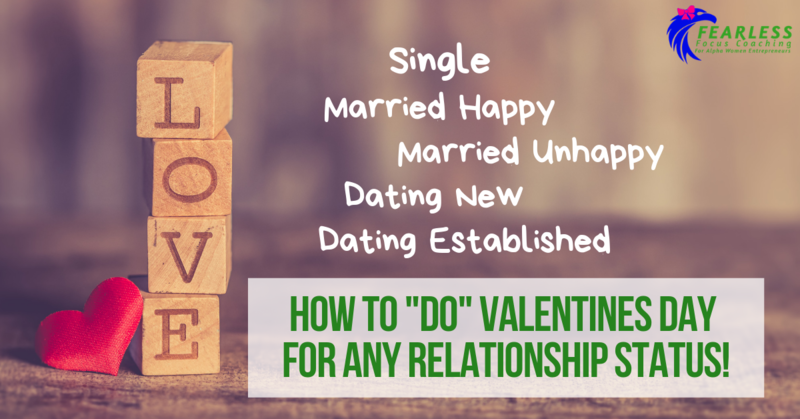 You are going to make YOU happy this Valentine’s Day and you are not going to be looking around for someone else to do it for you. Please remember that this is spiritual law. We can only receive what we have FIRST given to ourselves. So give it! The newer the relationship, the more important is that you are focusing on YOU to fill yourself up, so you are not looking for a cornucopia from this other person who just arrived in your life. In an established dating relationship, it is more of an equal blend. Do for both of you. If you are married or mated & happy­, your focus is your mate. Let me repeat that. Your focus is your mate. You don’t have to worry about shoring yourself up because, in a happy relationship, you’re already doing a good enough job loving yourself. That frees you from looking for a Valentine’s Day “windfall” from your mate. For the singles and the unhappily married’s, focus on YOU means find something to do FOR yourself or give to yourself. And I deeply recommend that that thing you give to yourself be an emotional, rather than a physical gift. Time doing something YOU like is tops of the scale here. Netflix movie bender of your favorite movies + your favorite meal all ending in a bath (using that bath oil that you never use because it was an expensive gift). Perfect! You are in fact, practicing identifying what you most love and receiving what you most love. Just be sure you are not giving to exert control and “demand” more from them than they have ALREADY been giving to you emotionally. And now my new favorite (because this is my first Valentine’s Day as a happily mated pair!) – the happily mated & married folks. Tell them that and SHOW them that. Challenge yourself to first figure out how to communicate it without spending money. Whatever you come up with without spending money, is likely to be a better messenger than that new Blu-ray DVD player or dinner. Do not let the fact that Valentine’s Day is over commercialized bother you. This is a good moment to stop and reflect on where YOU are and set your life up to continue going in the direction you wanted to go OR course correct it. P.S I’m still moving! Goodness it’s wonderful to shed these many years and layers of “stuff.” I’m mentally tired from all the decisions but in the HOME stretch. On Thursday I’ll begin the 30-hour trip to Australia!